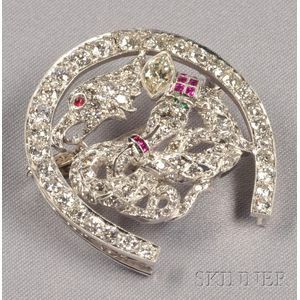 Art Deco Platinum and Diamond Brooch, depicting a serpent battling a griffin, bezel and bead set with marquise, old-European, and single-cut diamonds approx. total wt. 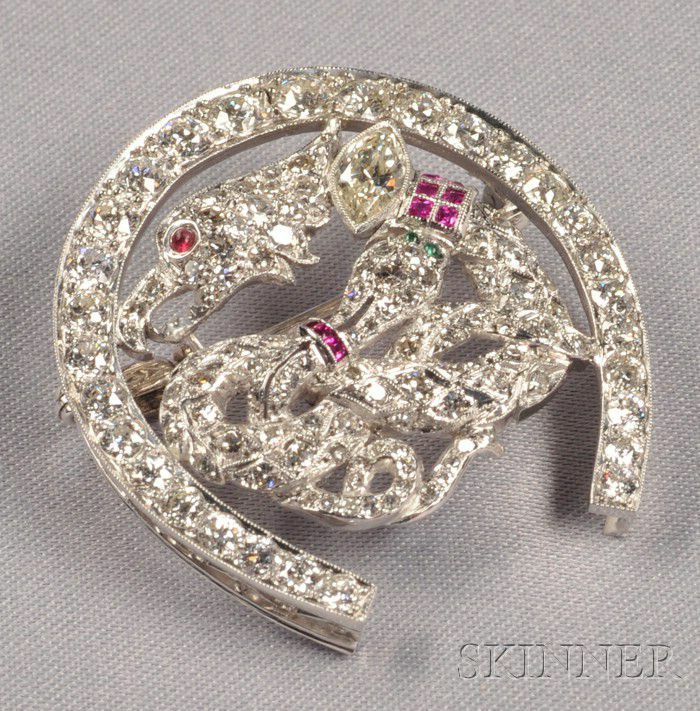 4.90 cts., further set with calibre-cut rubies and emerald eyes, millegrain accents, lg. 1 1/2 in.